On October 9 and 10, we held our “Go Bananas for Fair Trade” event on our campus. On Tuesday and Wednesday we gave out Equal Exchange Fair Trade bananas in front of the Lion statue. with the help of Professor Olear’s BA 100 (Introduction to Business) students. After two days of standing in the rain we gave out all 611 of our bananas. Thanks to the Fair Trade Town committee in Media who assisted us with securing the donation of all of the bananas. On Thursday and Friday of the same week, the staff in the cafeteria baked up some delicious Fair Trade banana pancakes and muffin specials, and sold 55 of them. 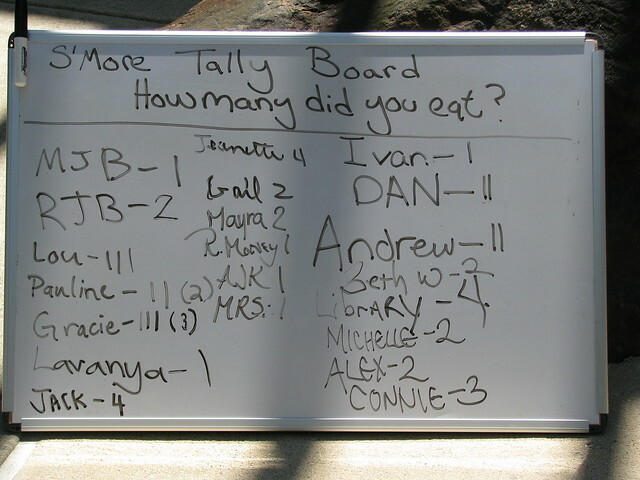 We have submitted our numbers in Fair Trade Towns USA, and are now waiting to see if we won the”Go Bananas for Fair Trade” challenge. 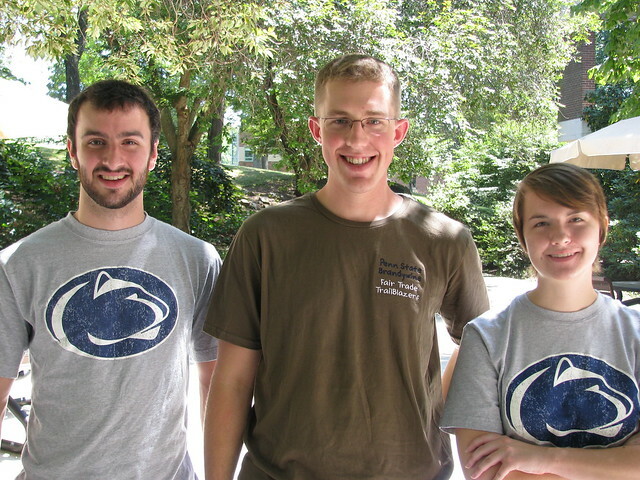 If we win, Penn State Brandywine can select to receive free Ben and Jerry’s ice cream for a year! So keep your fingers crossed for us. Here is a picture of our beautiful setup for the banana hand out. And here are our two awesome banana suits that worked really hard to give out bananas. 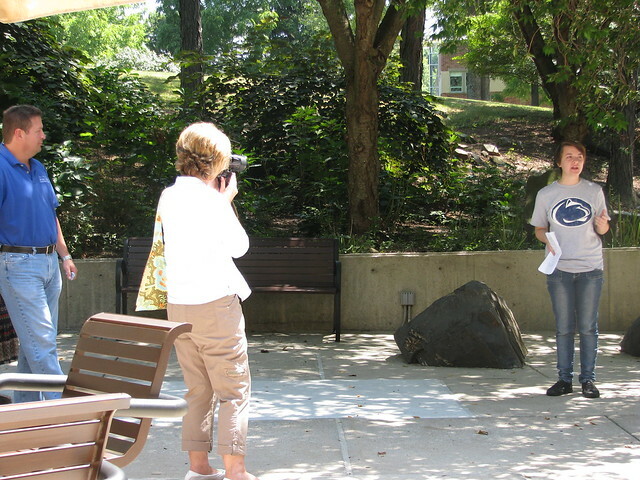 Today (August 16, 2012) the Fair Trade TrailBlazers and the Penn State Brandywine Community participated in Global Exchange’s “We Want More from our S’mores” event. This initiative was started by Global Exchange to put pressure on the chocolate industry to stop using child labor and to continue to seek more ethical means of producing chocolate (see our previous post for more details). From 12:30 to 1:30, faculty, staff, and students gathered in the Vairo Library courtyard and made Fair Trade S’mores to help Global Exchange’s campaign. Fair Trade Equal Exchange chocolate (the dark mini bars) was provided as well as Fair Trade Bananas from Whole Foods. Yes, you read correctly. Fair Trade Bananas! 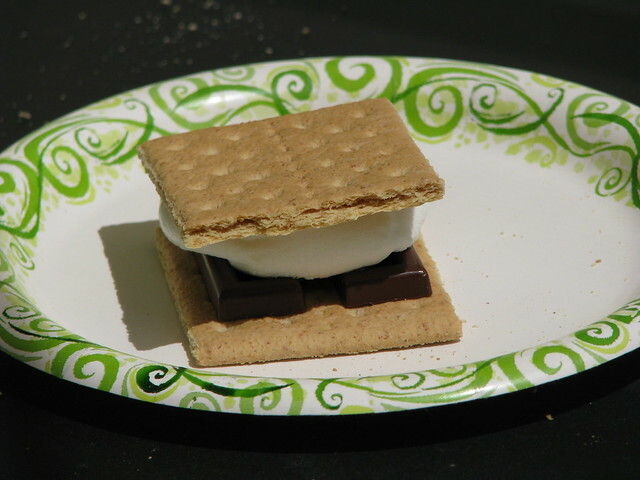 These were not just any Fair Trade S’mores, but gourmet Fair Trade S’mores. In addition to jumbo sized marshmallows and boxes and boxes of graham crackers, organic strawberries were provided (sadly not Fair Trade. All the more reason why we need a domestic Fair Trade system). By the end of the event, 40 people attended, 45 s’mores were eaten, and 25 people signed the We Want More from Our S’mores petition. It was truly a wonderful and successful event! Here are some photos from this afternoon! 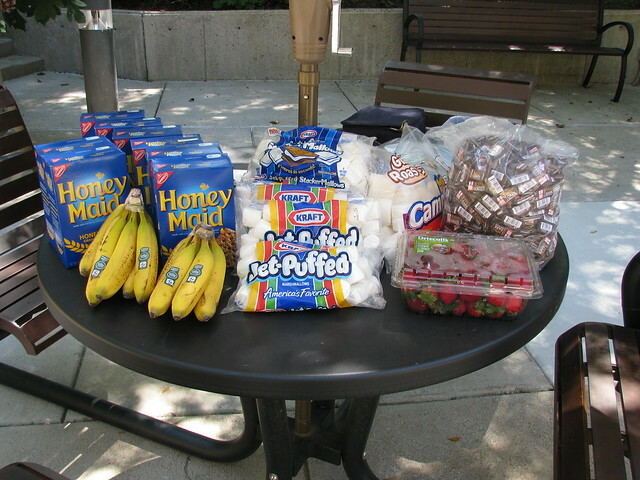 Here are all of the lovely ingredients we used in our Fair Trade S’mores! 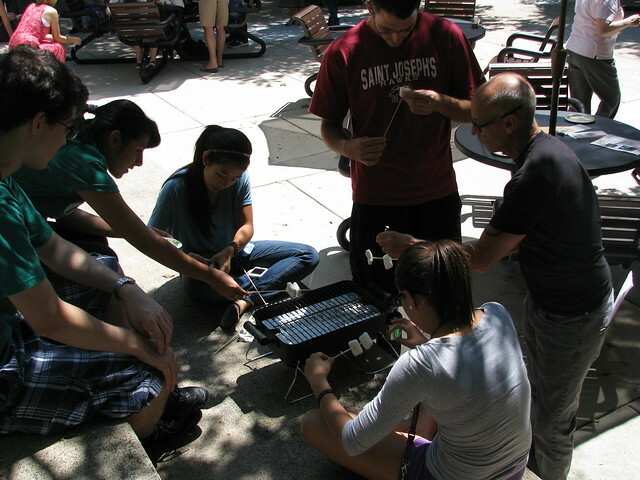 Here we have a group of students and faculty toasting some marshmallows. 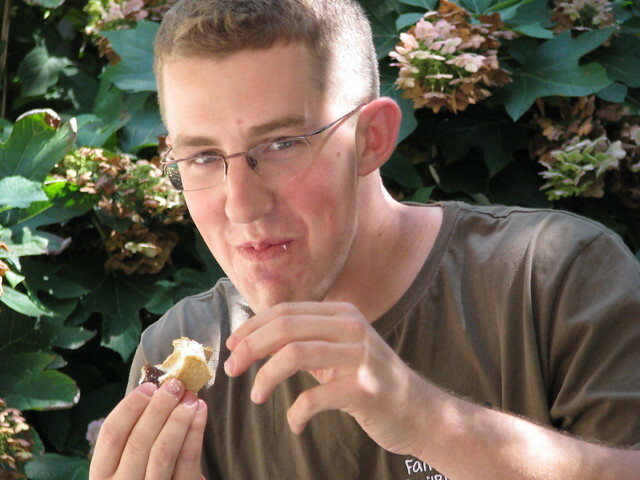 TrailBlazer Jack Ramaika enjoys a Fair Trade S’more! Fair Trade Intern and TrailBlazer Sarah DeMartino talks to the crowd about the controversy in the Chocolate Industry and the importance of the “We Want More from our S’mores” event. Louis Donaghue (TrailBlazer and Fall Fair Trade Intern), Jack Ramaika (TrailBlazer), and Sarah DeMartino (TrailBlazer and Summer Fair Trade Intern) pose for a photo during the event. To see more photos, check out our Flickr page!